Elland Road opened in 1897, however in the first years of its existence it was only used for rugby matches. 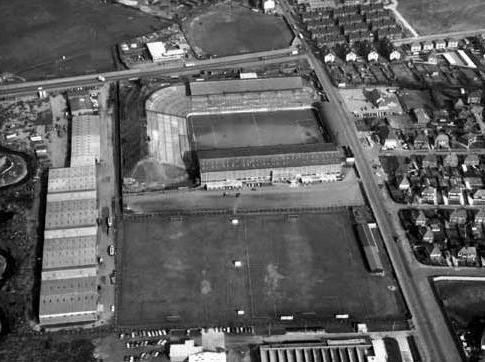 In 1904 newly formed football club Leeds City moved into the ground, and in the following years the stadium got gradually expanded. After in 1919 Leeds City got expelled from the Football League, the stadium was sold for a sum of £250 to newly formed Leeds United. Further renovations were made shortly after, but few changes were made in the decades following. In 1956, a fire burned down the West Stand, and a new stand had to be built. With the successes of Leeds United in the 1960s and early 70s further renovations were made. 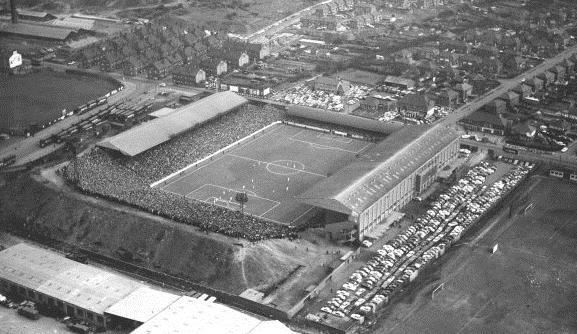 Elland Road achieved its record attendance in 1967 during an FA Cup match with Sunderland. A total of 57,892 supporters watched the game from the stands. In the early 1990s, the club started a redevelopment program for the ground, which most notably included the rebuilding of the East Stand in 1993. At completion, the stand counted as the biggest cantilever stand in the world. 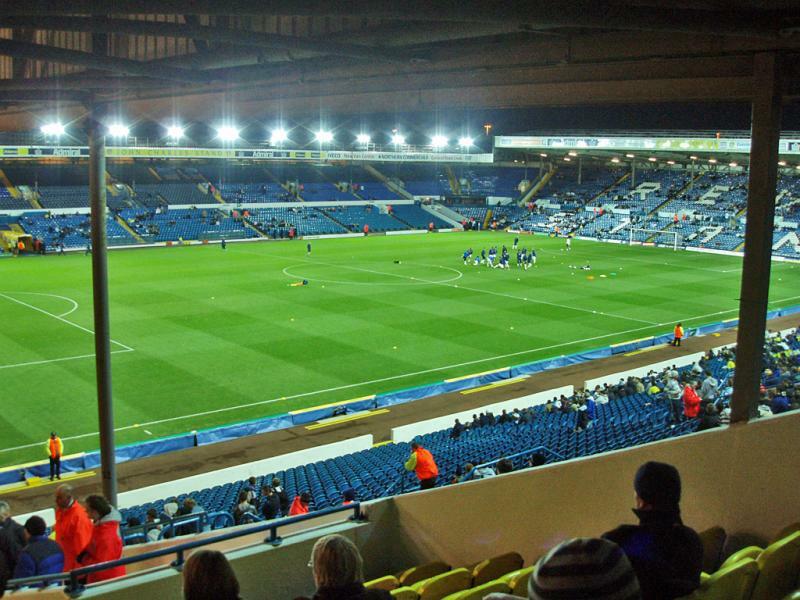 Elland Road was one of the playing venues of the Euro 1996 Championships, during which it hosted three group matches. 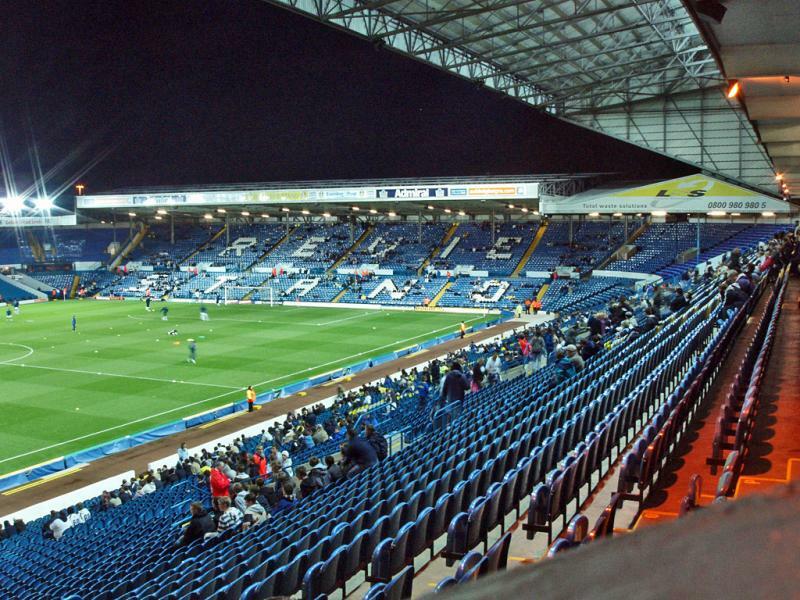 In the early 2000s, Leeds investigated a move to a brand new 55,000-stadium, however these plans were shelved after the club’s finances severely deteriorated. Only smaller renovations have been made to the stadium since. Elland Road is located in the south-west of the city of Leeds, in the Beeston suburb, about 2 miles from Leeds Rail station and Leeds city centre. The stadium lies adjacent to the intersections of the M1, M62, and M621 motorways. Take junction 1 from the M621. The stadium is signposted from the motorway. 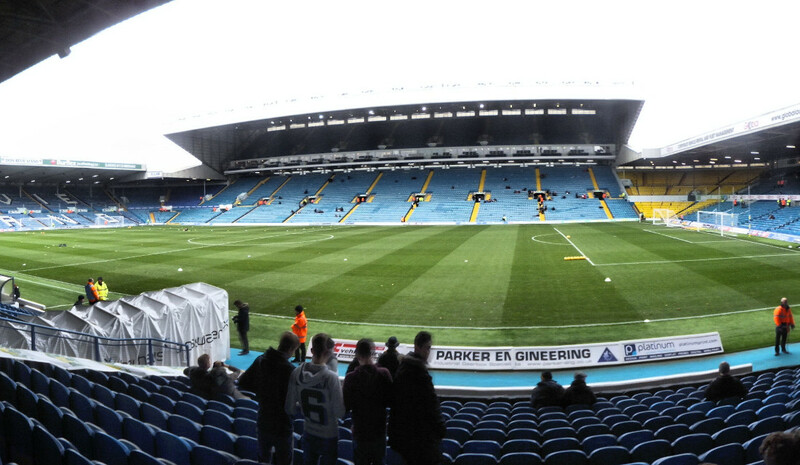 Elland Road can furthermore be reached with bus 51, 53, and 55. Line 51 has the most frequent service. Either catch the bus in front of Kirkgate Market in the city centre, or on Meadow Lane just south-east of the train station. The journey takes about 20 minutes. Elland Road is located in a quiet neighbourhood that’s a mix of residential houses and businesses. There’s a few pubs and some fast food around, but options for eating and drinking are rather limited. 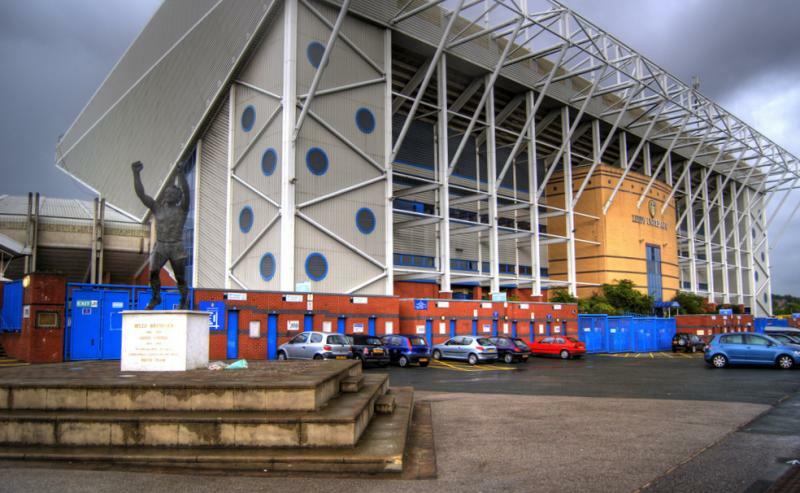 There are no hotels near Elland Road, but plenty of options to choose from in and around Leeds’ city centre. Tickets for Leeds United matches can be purchased online, by phone +44 (0) 0871 334 1992, or in person at the ticket office at the stadium. If tickets remain, these can be bought at the ticket counters before the start of the match. Leeds United generally attracts crowds of in the mid-20,000s, and only occasionally sells out. 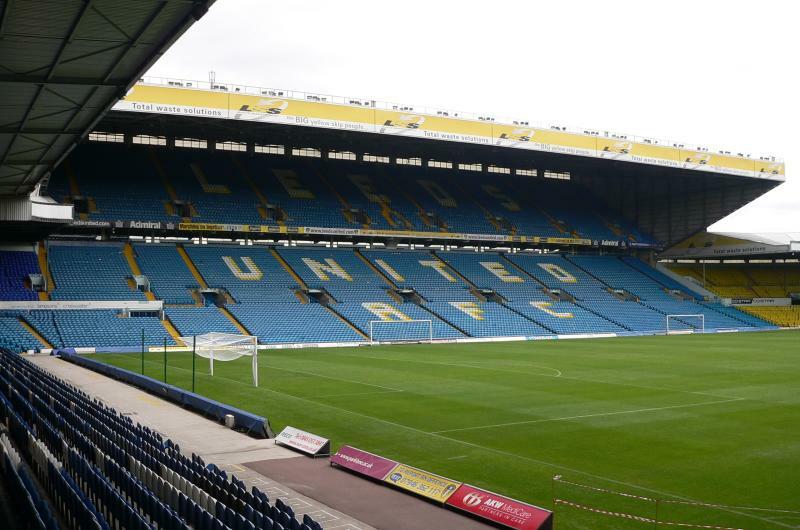 Leeds has divided match tickets into two pricing categories. Tickets for category A matches, the most expensive, cost either £32.00 or £37.00, whereas tickets for category B matches cost either £27.00 or £35.00. For more information email tickets@leedsunited.com. Leeds United offers guided behind-the-scenes stadium tours, which include visits to the dressing rooms, players tunnel, dugouts, and trophy room. The tours last approximately 90 minutes. Stadium tours tend to run twice or three times on Thursdays and Fridays. Check online for the actual schedule and to make bookings. Leedsunited.com – Official website of Leeds United FC. Visitleeds.co.uk – Leeds tourist information. Wymetro.com – Leeds public transport information.